Immigrant youth make up a significant portion of both the population and the workforce in the Silicon Valley. An area famous for its economic wealth, the Silicon Valley stands out for its deep disparities when it comes to the lives of undocumented immigrants. The new report, Immigrant Youth in the Silicon Valley: Together We Rise, explores the obstacles young immigrants face when trying to access fair wages, housing and higher education. Undocumented youth face immense barriers in accessing education. Eight in 10 undocumented young persons are not in school, 26% more than other youth. Undocumented youth are almost four times more likely to not complete high school. Nearly one-third of undocumented youth, as opposed to nearly two-thirds of other youth, have some college education. Undocumented youth are concentrated in low-wage jobs. Undocumented youth are concentrated in service sectors, such as food and retail, construction, administrative work, and waste management. Undocumented young workers are 50% more likely to be “front-line” workers. Front-line jobs are low-wage, entry-level jobs, such as the floor positions in retail stores, counter staff at a fast food restaurant, and nonsupervisory positions at the construction site. Undocumented youth earn 28% less than other youth and earn less than what is needed to live in the area. 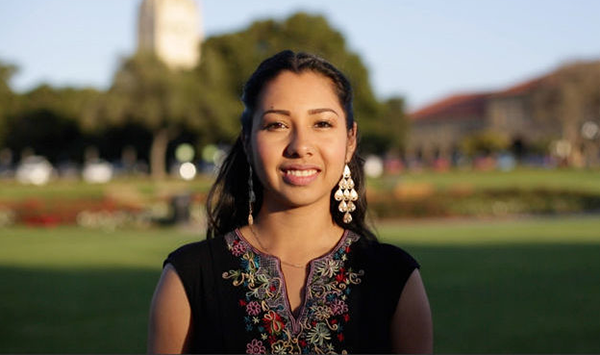 Undocumented youth are diverse and a core part of the Silicon Valley community. More than one in ten young people in Silicon Valley are undocumented. They comprise 14% of the half million youth in the region. Nine out of ten undocumented youth are Latino or Asian. Over one-third of undocumented youth do not speak English well or at all, a rate three times higher than documented immigrant youth. The study is based on census data and interviews conducted of undocumented residents in the Silicon Valley.